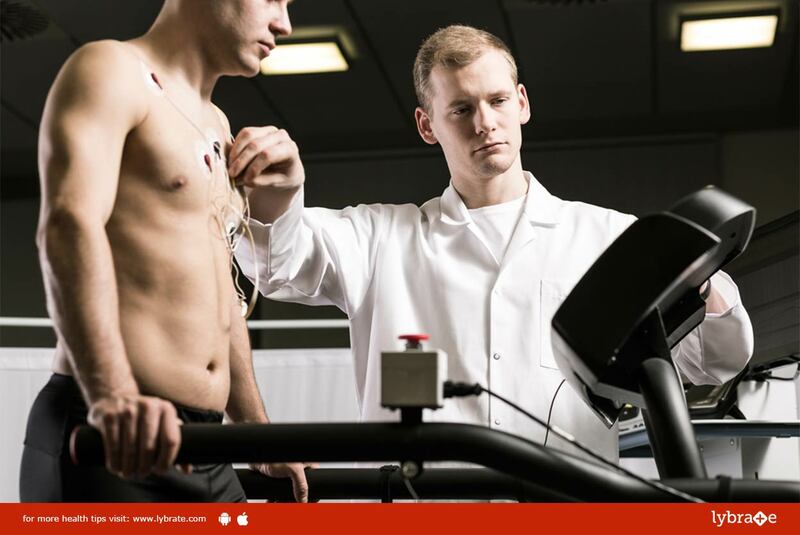 Exercise Stress Test: This test involves attaching a monitor along with electrodes in the chest region while you are moving on a treadmill. This test helps to record the various aspects of the functioning of heart which includes blood pressure, ECG, heart rate and the amount of exhaustion you experience while you are exercising. This test is useful in determining the risk factors involved in heart attack and chest pain. Tomography: This procedure involves numerous analytic imaging tests which capture images of the heart with the help of an attached computer. This procedure shows 3-D images that are useful to determine any blockage in the coronary arteries due to deposited calcium. This procedure is also helpful in the evaluation of pericardial disorders and cardiac masses. Echocardiogram: During this test, a portable device will be held onto your chest which uses ultrasound waves to create photographs of the size, movement, and structure of your heart. This test is useful in determining the irregular rhythms of the heart along with the overall health of your heart. This test also determines the chances of a heart disease or heart valve disorders. Electrocardiogram: This procedure records the heart’s electrical activity which includes the time taken for one electrical phase to occur in the heartbeat. This procedure is helpful in determining the chances of any heart attack along with the changes in the rhythm of the heart. This procedure also helps to implicate whether a heart attack has taken place. Chest X-ray: This procedure captures an image of the heart, lungs and chest bones. This procedure is helpful in determining the structure of the heart and if there is a chance of fluid accumulation in lungs due to a heart attack.